It's called a dollar, and worth a dollar -- at least for now. But it has nothing to do with the U.S. Federal Reserve. Zimbabwe has started issuing so-called bond notes in a bid to ease a chronic shortage of cash. The southern African country has been using a mix of different currencies -- and most importantly U.S. dollars -- since its own Zimbabwe dollar imploded in 2009 amid massive money printing and hyperinflation. But the collapse of the economy has meant people have to buy almost everything from bottled water to toothpicks from abroad, and that means cash is constantly pouring out of the country. 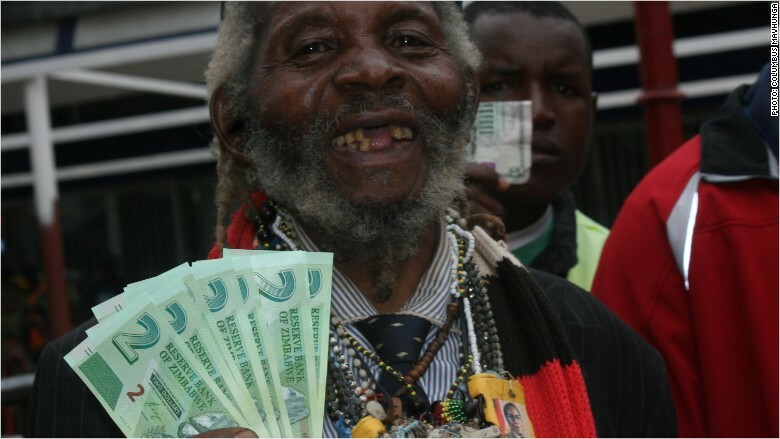 Zimbabwe began stocking ATMs on Monday with the new bond notes in denominations of $2 and $5. They are not legal tender outside Zimbabwe. The idea is that the notes (and bond coins already in circulation) are used for local transactions, preserving scarce U.S. dollars and other currencies, such as South African rand, to spend on imports. The bond notes trade at par with the U.S. dollar, and they're backed by $200 million held by the central bank. But many Zimbabweans believe they mark the first step towards the reintroduction of a local currency -- one doomed to massive devaluation. They even look almost identical to old Zimbabwe dollars. People rushed to ATMs in the hope of withdrawing U.S. dollars before the machines switched over. Some shops were refusing to accept the bond notes, other retailers said they have no choice. "We just have to accept this money. I am taking it if clients bring it," said Netsai Mukore, a shopkeeper in downtown Harare. The country's central bank said Saturday that $10 million worth of bond notes would be released initially. It also set a limit on withdrawals of $50 per day and $150 a week. Some economists warn the new notes will cause even more pain for Zimbabwe's economy. 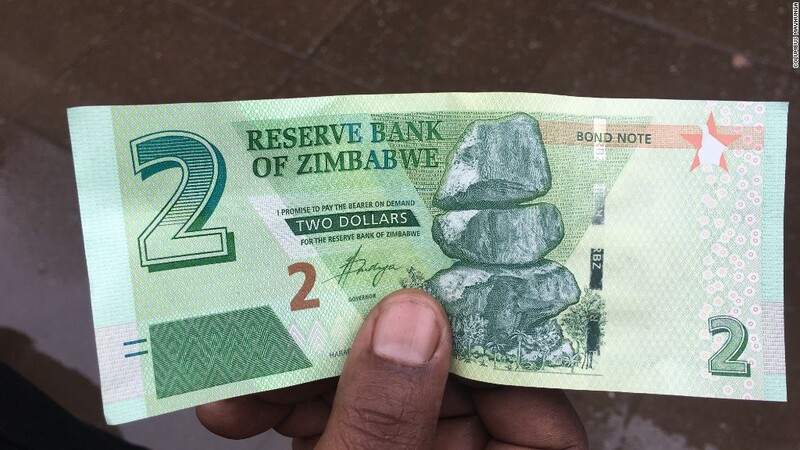 "Most Zimbabwean companies import their goods so they need foreign currency, not this currency which has value in Zimbabwe alone," said Prosper Chitambara, an economist at the Labour and Economic Development Research Institute of Zimbabwe. "The introduction of bond notes will further scare away foreign investors because of the issue of trust," said Chitambara. "We are likely to have more shortages of goods in the country." The cash shortage means the government has been struggling to pay public sector workers. It has been paying salaries late, or only in part.